We can appreciate that Android updates are important to ZenFone owners. If you are upset with the news we are about to share, consider that Android updates are slow no matter what manufacturer or company you’re dealing with. These things take time and even with Google’s attempts at making the process less painful for companies, it seems that updating Android is tricky. Ask yourself whether a stable, bug free OS is better than a buggy updated Android OS. ASUS has officially confirmed that Android 9.0 Pie is coming to the following ZenFone models. Note that some models will get the update by April 15, 2019 according to ASUS. With price drops expected for older stock ZenFone models, this list should provide some useful guidance. Note that the ZenFone 4 Pro and ZenFone AR are not included in this list. It’s still unclear when ASUS will be shifting resources out of the mobile phone division because certainly that will have an impact on updates if a majority of personnel involved with software are shifted to other divisions of ASUS. We will update this list as we move through 2019. 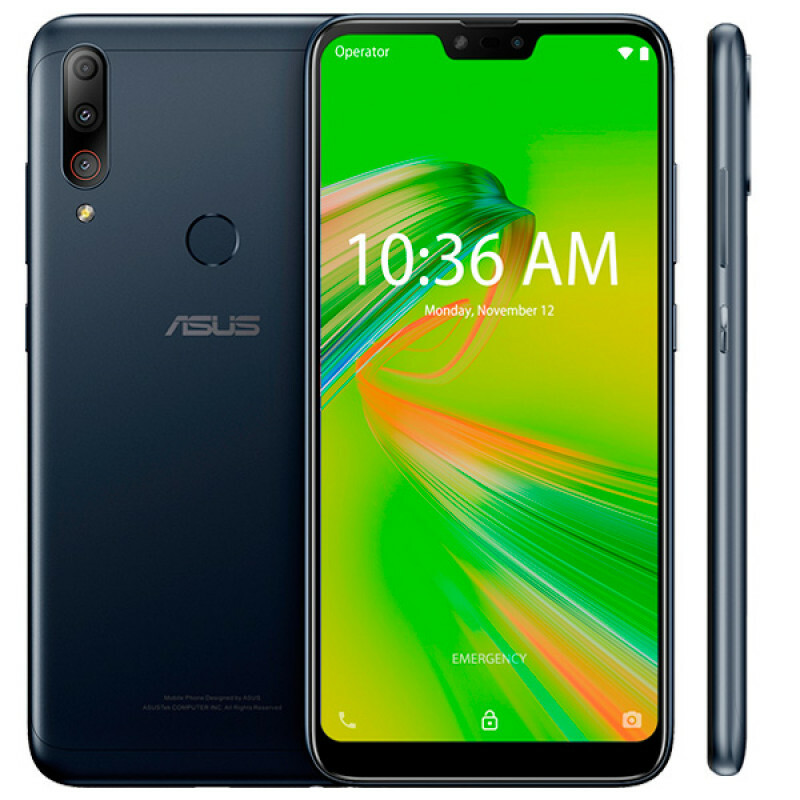 According to a report from Digitimes, the ZenFone Max Pro (M2) will be the last consumer smartphone from ASUS. You know what this means right? As luck goes sometimes, watch this last release be their most popular! This is an unlikely scenario so don’t get your hopes up. This model should sell better than it likely will, but popularity is hard to match of the big brands in this space. 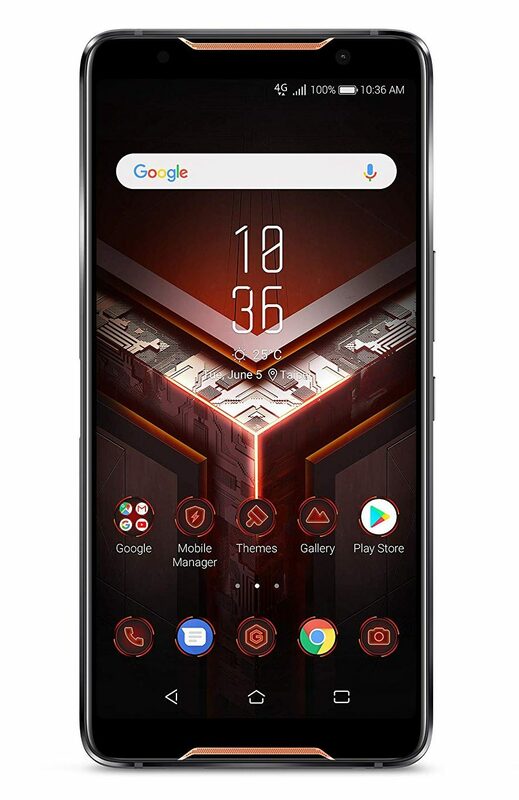 Although this is being called the “last” consumer smartphone, keep in mind that ASUS is still going with the ROG Phone and something for “power users”. That likely means two phones coming from ASUS on a yearly basis. And yes, gamers and “power users” are “consumers” which makes the headline a bit misleading. It’s better to say the end of mainstream offerings. We are still on pause waiting to see how ASUS handles their inventory. They put aside a lot of money in this restructure to their phone division and part of that is likely to include the blowing out of inventory. If or when that happens, there are a few considerations. First, do you care about Android OS updates. With a smaller division in the company, there will be less time spent on software updates. It’s hard to say which models will and which models won’t get at least one update in the future. Secondly, how cheap will these phone be? This will be the big compromise when you look at price vs. future support. Ultimately the price is what should steer you into making the right call. Expect two smartphones from ASUS in mid 2019. That would be a new ZenFone 6 (our best guess) and a new ROG Phone (maybe later 2019 release). We see the phrase “high gross margin” in the Digitimes article which says either of these offerings is going to be expensive and that in of itself is going to make these niche releases. Let’s hope for the best because persistence can pay off. Maybe ASUS can find the magic formula in this new direction. What doesn’t make sense from a business perspective is trying to sell a product when you announce that the line-up or brand is no more. There are still ZenFone units to ship and if you send out the message that you are closing up shop, what do you think happens? Nobody buys them. So in that sense, it makes sense to refute claims about the ZenFone brand demise. Whatever they plan to do with the mobile phone business, one this is certain. They will be doing it with less resources (employees). We should be happy to hear of this news. The ZenFone brand may continue but perhaps it will be very limited to a few markets. Reducing the number of models would be a good move, but are power users the answer? Markets like the US where many power users exist and who spend a lot of mobile phones is a market that ASUS announced they will not be competing in. So it’s hard to see where a high-end ZenFone would fit. The most success was in Asia where the cheaper models had greater success. High price points were heavily criticized by consumers in Asian markets with the rollout of the ZenFone 4 series so those markets don’t seem like a fit for “power users” or ZenFone models with higher price points. It’s possible however that ASUS could target power users with more affordable price points than the other flagship phones. However the ZenFone 5 tried to battle the other flagships with similar specs and lower price point but it clearly wasn’t enough to generate sales. Will ASUS release models that supersede the competition in terms of specs? One thing to keep in mind is that the ZenPad brand still exists today however it has been about 2 years now since the last release. So in that sense, the ZenFone brand could continue along but at a much slower pace and priority level like the ZenPad brand. Let’s see how things progress over the next year and go from there. However the idea of pursuing “power users” doesn’t seem like a direction towards cheap price points. So considering when the ZenFone series went high price point, the marketplace got extremely negative this isn’t adding up strategy wise so far. The new leadership team likely has some interesting ideas so hopefully we start to see the direction and how it will or will not include the ZenFone brand. It’s time! 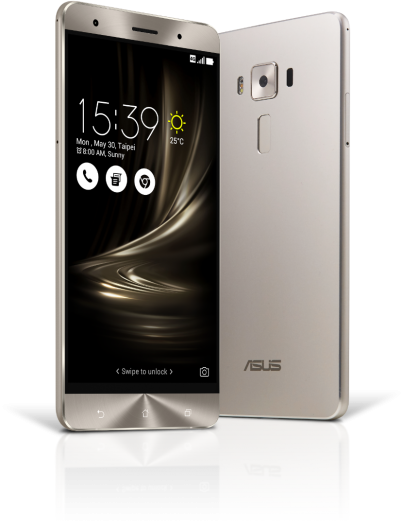 The gamer “centric” mobile phone offering from ASUS is coming pretty darn quick. A pre order is now available for the ROG Phone at $899 USD which should tickle the fancy of many a gamer out there. Note that there is currently a promotion on Amazon.com so if you pre order you will get a free case. The $899 model comes with 128GB internal storage with a more expensive 512GB model coming some time in the future. That availability will likely depend on how this pre order phase goes. It’s a 6-inch AMOLED display with 550 nits brightness. 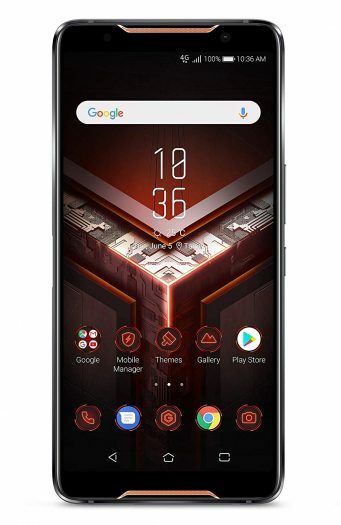 It comes with 8GB of RAM and a Snapdragon 845 which is clocked at 2.96GHz. Yes, it’s fast! There are a bevy of accessories that are hopefully going to be in enough supply so that ROG Phone owners can find them in stores. No question for the ZenFone series that the official ASUS accessories are generally very hard to come by, especially in the North American market. With North America being a key gaming market for ASUS, shortages of accessories should not be a concern. We heard rumblings some time ago about the inner turmoil that is the ASUS handset business among top executives. Of course reports and speculation aren’t always factual in nature. The inside sources at that time suggested that ASUS was putting everything into the ZenFone launch here in 2018 to see what the future would hold. Seems that ASUS has spoken to this speculation. According to a report from Digitimes, ASUS is considering spinning off its handset department. What this entails? Hard to say. It’s hard to think of it as an optimistic future however. We are hoping that if it comes to “spinning off” the handset department there is enough for us to keep going. So as a website that is 100% dependent on ZenFone news and products, it’s safe to say the future is uncertain. Terrific mobile phones don’t always get the ears of the tech media and that certainly has been an issue. It’s a tough nut to crack and to say there is a lot of competition would be a serious understatement. We are only a tiny insignificant grain of sand when it comes to ASUS product coverage, but we have data over the course of a number of years where we can gleam some indicators on how the ZenFone releases are faring.